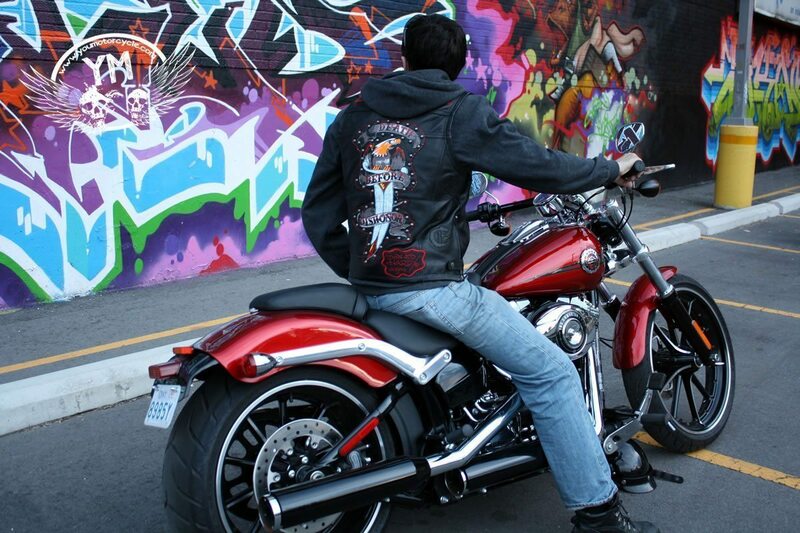 What makes a motorcycle vest? 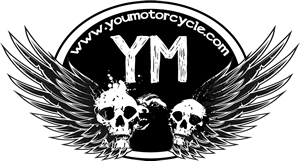 The patches earned at motorcycle rallies stitched to it? The insect anatomy speckling it at the end of a long ride? The thickness and quality of the leather cut? Is there more to it than just that? 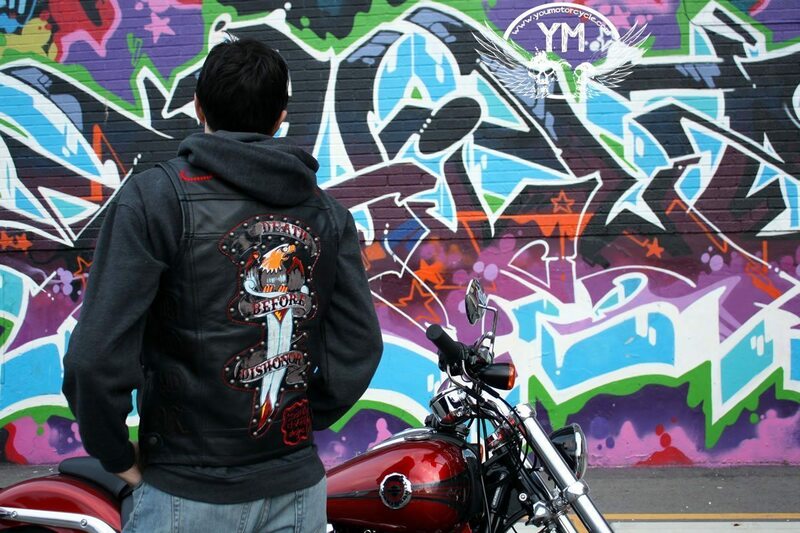 What does your motorcycle vest even mean to you? Is it a lifestyle statement written out on a sheet of leather? A giant neon sign alerting the world there’s a motorcyclist approaching from four and a half miles away? Is it a fashion statement for you? 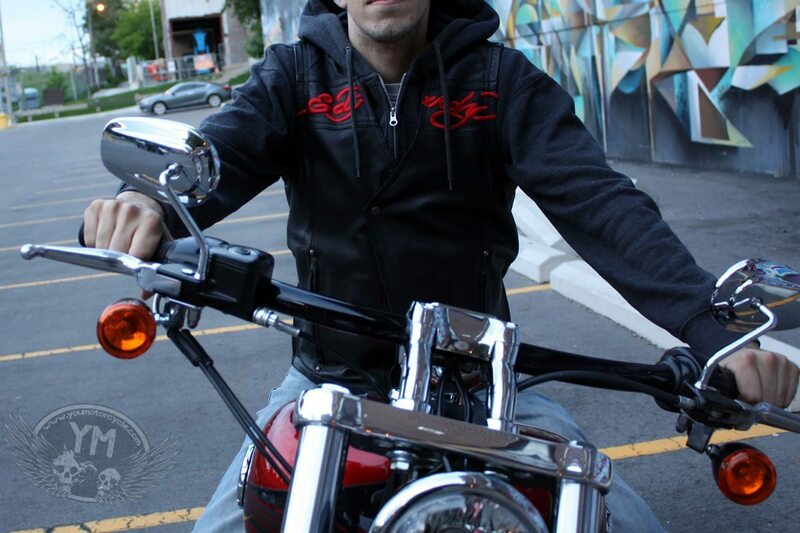 Does a brand name mean anything when we’re talking about motorcycle vests? A lot of questions rolled through my mind as I unpacked the Ed Hardy motorcycle vest sent to me by Motorcycle House. How did I really feel about this? It wasn’t exactly something you’d see on Sons of Anarchy, but then again, maybe that was a good thing. This is a review of the Ed Hardy Death Before Dishonor Motorcycle Vest. I didn’t receive any kind of compensation from, nor do I have any affiliation with Ed Hardy or Motorcycle House. They offered me some free gear in exchange for an honest review and I accepted. So here’s an honest no non-sense review. My first impression of the Ed Hardy vest was a little shock on account of the graphic design. The back read: Death Before Dishonor. That’s not too dramatic, is it? The underplayed slogan was topped off with a bird. A bird of the displeased-looking variety. Some might call it an angry bird. He was perched upon a sword. Again, not too histrionic, right? The second thing I noticed was that the vest came with its own matching garment bag, much like a good suit, and we’ll get to the quality later. For now what you need to know is that the rad looking garment bag went hand in hand with the even the even more radly-colored (yes, we’re making up words) inner lining of the vest. 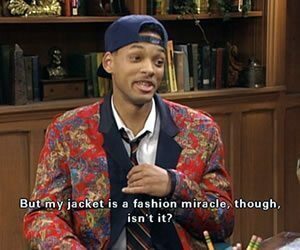 Think Fresh Prince Of Bel-Air, with Will Smith wearing his Princeton jacket inside-out. Irony showed her gap-toothed smile when I came to realize that the metalic end of the Ed Hardy Motorsports hanger was too big to fit in the metal-trimmed hole of the Ed Hardy Motorsports garment bag. I was a little surprised no one at EHM had noticed this. While the questions were playing on loop and my mind was working feverishly trying to decide just how I felt about the Ed Hardy vest, I held it up to let it sink in. The quality was visible imminently. The leather was thick and flawless. The soft milled cowhide is 1.2mm – 1.3mm thick, similar but thicker than what many of the less expensive vests claim to be, though the difference feels more substantial. The texture itself is smooth, soft, and excellent. Whether or not you appreciate the design, you’ll admire the quality of the leather being used and the finish on the stitching. It’s that good. I requested a size medium. I’m 5’10.5″ (179 cm) and only 140 lbs (63.5 kg). The medium fits me quite nicely, and I have room for extra pounds, without the vest being loose and baggy. It’s fitted, and it works. For those around my height but with more heft, or any heft, as I have none, you’ll appreciate both button and zipper waist adjustments on both sides. The cut is designed to accentuate upper body while down-playing the waist area. This is achieved by a zip up, covered by a leather flat, with a button situated at the top of the leather flap only, by the breast bone. I enjoyed wearing the Ed Hardy Death Before Dishonor vest with a hoody underneath on the cooler nights. One cool feature that I didn’t expect from the vest was the removable CE certified armor back protector built into it. That’s a very nice touch in a leather motorcycle vest. Remember that CE-approved refers to the testing of motorcycle armor in Europe. You’re getting a little more than just the standard piece of foam tossed into most motorcycle jackets on the market these days. Moreover, the armor doesn’t feel bulky, nor does it interfere with the ride comfort while sitting. Nicely done. In order to pass CE certification standards, the back armor must be struck according to European specifications and must transfer a minimal amount of force transmitted. The CE requirements for back armor certification is even more stringent than for shoulder, elbow and forearm, hip, knee and leg armor. That is why most motorcycle jackets that do have CE approved shoulder and elbow armor, may not have CE approved back armor. To see that in a vest is an indicator that Ed Hardy put some research and development and some thought on motorcycle safety into their vest. I was pretty happy about that. I generally try to put 500 km to 1,000 km(310 miles to 620 miles) on products before I’ll write a review. At the incessant urge of the Motorcycle House coordinator I only got to around 80% of my goal. The vest still held up like new. It showed no scuff, no wear, and no creases or folds. I’m writing this review a little sooner than I normally do in order to appease the Motorcycle House folks, but I don’t think that I’ll regret it, as there’s nothing to leave me thinking the vest wouldn’t hold up. Even the stitching on the lettering which I thought may be a weak point is in like new condition. The only real cause for concern with the vest was whether or not the style was for me. It has grown on me. More importantly, the vest has grown on my friends as well. Riders and non-riders alike gave me a bit of a hard time about it at first. I’ve never owned anything made by Ed Hardy before. It’s not particularly my style, however, the vest is so nice, and the slim fit looks great on me, so I wear it out often anyway. I can’t speak on behalf of strangers, but the folks that know me and that I ride with have come to accept it, and a few of them are more than a little jealous. 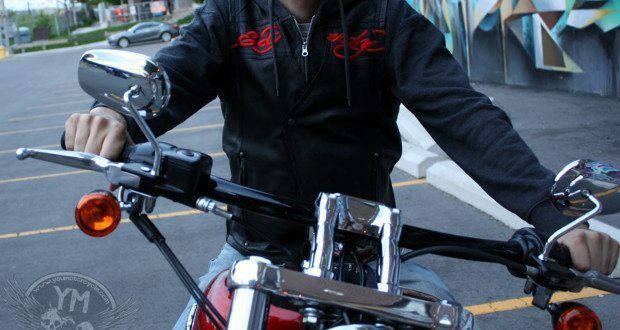 Again, I have no affiliation with Motorcycle House or Ed Hardy, and received no compensation for this post… but I’m still wearing the vest. If you don’t mind the look, I think you’ll enjoy it too. It’s not for everyone, but those who like the style will appreciate the quality.